The Centers for Medicare & Medicaid Services has recommended that health care professionals take a patient-centered approach to care (Department of Health and Human Services, 2008). This means that patients have a right to know about their health care and to be involved in the decision-making process. As a person undergoing dialysis, what does this mean for you? It means that you should feel empowered to ask questions and to express your beliefs, values, desires, and preferences about your treatment. Empowerment means that you can exert some control over factors that affect your life (Gibson, 1991). Hence, you should have a say in your care. You have the right to be educated so that you understand your treatment options and participate in shared decision making (Task Force Working Group, 2003). Although this sounds like a good idea, not all dialysis teams practice patient-centered care or are aware of the role of the patient. By understanding your role, you might be able to help your dialysis team engage in patient-centered care. Implementation of patient-centered care involves developing a partnership with your dialysis team. A partnership is formed when two parties (patient and dialysis team) come together as experts to establish an appropriate plan of care. You, the patient, know yourself and your wishes and preferences, and the dialysis team has expertise in end-stage-renal-disease and treatment. Together you establish mutually establish goals that are potentially achievable. Any successful partnership requires respect and trust. This means that you and the dialysis team can participate in a discussion where each person can talk freely without feeling threatened. You can ask questions and tell the dialysis team how you feel about the recommended treatment. Effective communication is the key to a successful partnership. Speak up if you have questions or concerns. If you still don’t understand, ask again. Discuss your wishes and preferences to be sure the dialysis team’s recommendations will fit into your lifestyle; discuss alternative options if they don’t. Pay attention to your care. Don’t assume anything. Always make sure that you’re getting the right treatments and medications. Protect your dialysis access by understanding how to care for it. 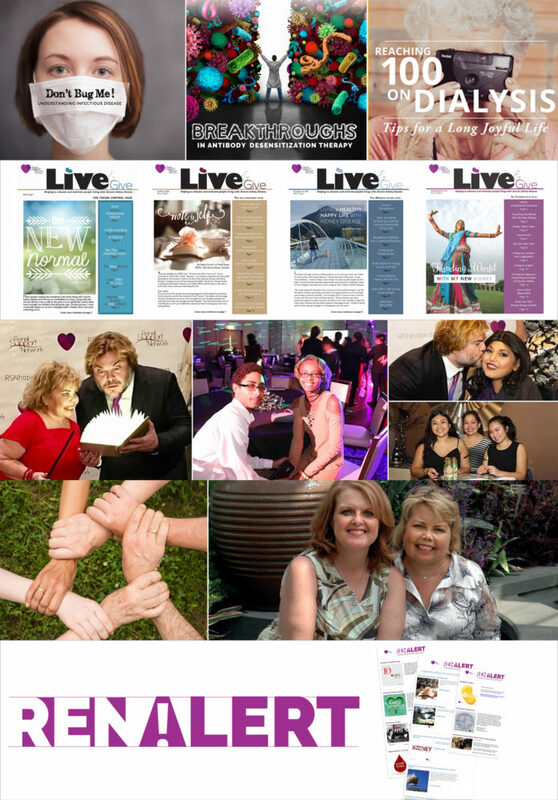 Educate yourself about kidney disease and dialysis. Feel free to write down the information, or else ask a team member to help you. Share this information with your family and friends. Understand what your blood tests mean and why the dialysis team may make recommendations for changes in your diet or your treatment based on your laboratory results. Ask a trusted family member or friend to be your advocate, to ask questions that you may not think of when you’re stressed, and to speak for you if necessary. Let the dialysis team know whom you have chosen and how much involvement you want that person to have. Know what medications you take and why you take them. Ask for written information, including brand and generic names. 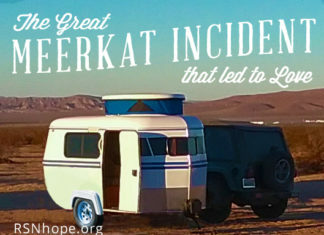 Also ask about possible side effects. Whenever you get a new medication, remind the dialysis team about any allergies. Understand your blood test results and why they may necessitate changes in your medications. Use a dialysis center that you know provides quality care; talk with the dialysis team about patient-centered care and patient involvement. Participate in all decisions about your treatment. You are the center of the dialysis team. 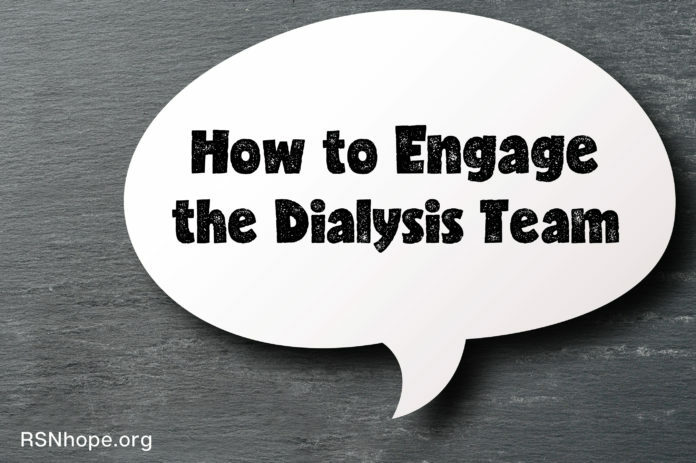 To get your dialysis team engaged, you must be actively involved in your care. Establishing a partnership can benefit both you and your dialysis team. Remember, speak up for your health. Debra Hain, PhD, APRN, GNP-BC has over 25 years of nursing experience, working in various areas of Nephrology. She is an Assistant Professor at Florida Atlantic University, Christine E. Lynn College of Nursing and works part-time as a nurse practitioner at Cleveland Clinic Florida, Department of Nephrology in Southeast, Florida.